When Does Excessive Sweating Start During Pregnancy? What Are The Causes Of Sweating/ Excessive Sweating During Pregnancy? How To Deal With Excessive Sweating In Pregnancy? When Should You Consult The Doctor? You feel warm and sweaty. Your underarms, the area around the neck, the back and the belly might constantly feel wet, and you would not want to leave your air-conditioned room. You might be sweating more than usual during pregnancy due to the fluctuation in hormonal levels. Though it is uncomfortable, sweating is normal during pregnancy and can be managed by following a few tips. MomJunction tells you about the reasons for excessive sweating during pregnancy, and tips to deal with it. Excessive sweating might start in the first trimester itself. You may experience sweating throughout the pregnancy, but it is more common during the first and third trimesters (1). Increase in body temperature during pregnancy results in sweating, which is the body’s way to cool down. Excessive sweating is experienced more during the night than during the day. And this condition is termed as sleep hyperhidrosis or night sweats, which is usually considered as one of the symptoms of menopause. However, in the case of pregnant women, it could be due to a sudden rise and fall of the pregnancy hormones, estrogen, and progesterone. According to research, around 35% of pregnant women have experienced hot flashes during nights. This condition disturbs your sleep and could be irksome, but it is not a serious health concern (2). There are various reasons for excessive sweating during pregnancy. Increased metabolism: Your body needs more energy to support your baby, thus resulting in an increased rate of metabolism. This, in turn, activates your sweat glands and as a result, you will sweat more. Hyperthyroidism: If you have hyperthyroidism during pregnancy, you might experience excessive sweating anytime throughout the day and night. The condition could extend after the delivery as well (3). Gestational diabetes: If you are diagnosed with gestational diabetes, you may notice excessive sweating. Sweating could especially increase when you have hypoglycemia or low blood sugar level (4). Medications: Taking certain medicines such as acetaminophen or aspirin to reduce glucose level or fever, or antipyretics and antihypertensives could result in excessive sweating (5). Increased blood flow: Blood flow to the skin increases during pregnancy, which makes your body warmer and results in increased sweating (6). Infections: A urinary tract infection during pregnancy may cause sweating too (7). 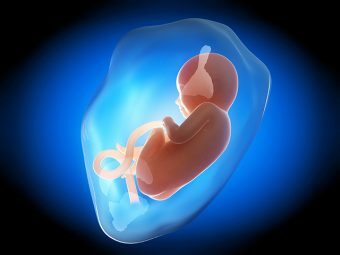 High levels of progesterone: During pregnancy, the levels of the hormone progesterone go up. This increases body temperature, which results in sweating (8). Others: Eating spicy food or consuming caffeinated beverages, exhausting your body with too many physical activities, or intense exercise could be some other reasons for sweating more during pregnancy. Irrespective of the cause of sweating, it is possible to manage it and avoid the discomfort. While you cannot entirely avoid sweating during pregnancy, you can follow some simple tips to reduce the severity and discomfort. Avoid going out in hot weather: Do not step out in the sun as high temperatures could worsen the sweating. Even if you are exercising, schedule it either in mornings or evenings. In addition to this, wear light-colored, soft, and airy clothes. Bring in some changes in your food: Avoid spicy food and hot drinks that might increase your body temperature. Increase the consumption of water and fluids to stay hydrated and beat the heat. Treat infections in time: If you have any illness or infections, see that you are getting it treated on time. Do not delay a visit to the doctor. You can also ask your doctor if any medicine you are using could cause sweating as a side effect. Notice changes: Most of the times, hormonal imbalance causes sweating during pregnancy. Keep noticing the changes in your body, and let your doctor know about them. They might suggest dietary changes. Others: You can also use talc-free powder if you are sweating excessively. This might not reduce sweating but could absorb the excess moisture. These tips could help you reduce sweating during pregnancy. However, the condition may not end right away. It might continue after the delivery as well. Nevertheless, they tend to go away with time. Although it is not a harmful condition, sweating could become a major discomfort and would need medical intervention. If you are sweating profusely even when the weather is pleasant and cool, tell your doctor about it. Also, fever, increased heart rate, and too much of discomfort accompanied by sweating should be reported. The doctor will examine your symptoms and advise you accordingly. In the next section, we answer some of your common concerns about sweating during pregnancy. 1. Is sweating an early pregnancy symptom? Yes, sweating is one of the common and early symptoms of pregnancy. Fluctuation in the hormones and increased metabolism may increase your body’s temperature, resulting in sweating. 2. Are night sweats dangerous during pregnancy? No. Generally night sweats are not dangerous, although they might disturb your sleep. But when you have symptoms such as itching, rashes or fever along with sweating, then you may report this to the doctor. 3. How long do pregnancy night sweats last? The duration of night sweats during pregnancy varies based on your medical history and other causes that trigger excessive perspiration during pregnancy. Usually, you’ll notice it in the first and last stage of pregnancy, but sometimes it continues for some time after childbirth too. Sweating while you are pregnant is uncomfortable, but not a bad thing as it is regulating your body’s temperature. You cannot avoid it but can reduce it by making some simple changes to your lifestyle. Did you experience sweating during your pregnancy? Let us know about it in the comments section below. 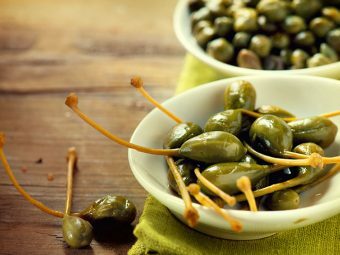 Is It Safe To Eat Capers During Pregnancy? 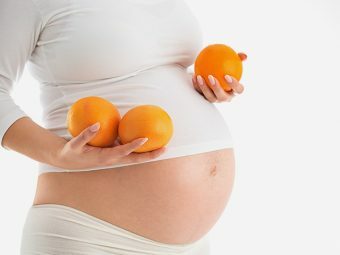 How Much Vitamin C Is Safe During Pregnancy?